Its summer time and most Villa fans will be clicking the refresh button on their internet browsers searching for fresh links to new signings. Before he gets Randy’s cheque book out, Paul Lambert, however, rather than looking on Youtube and Google, will be seeking to look within the club and assessing which youngsters are ready to make the step up to the first team squad next season. Dutch legend Johan Cruyff would argue that a club should always promote from within – if there is a position that needs strengthening in your team, look first to your youth team to see if your young players offer a solution. Preseason is a time of the year when aspiring young Villans get to mix it with the senior pro’s, and it is perhaps the most important time of the year for a young starlet seeking to catch the manager’s eye and force their way into next season’s plans. After Aston Villa’s European success in winning the NextGen Series, Paul Lambert will perhaps be even more keen to see what his young chargers have to offer. 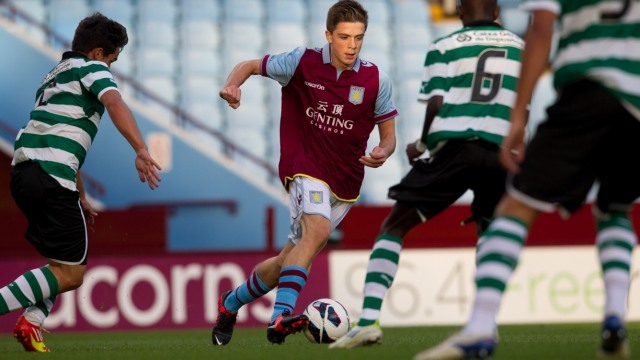 Two players who have caught eye in the Aston Villa academy in the 2012 / 2013 season are wingers Jack Grealish and Jordan Graham. These two boys are still young (17 & 18 years old), but they should now be looking to play some part in the Aston Villa first team squad next season, if Paul Lambert follows a similar model to the one currently implemented by Brendan Rogers at Liverpool. Jordan Graham – the new Ashley Young? Jordan ‘Da Kid‘ Graham is an 18-year-old right winger, who can play on either side if needed. He has fantastic pace and excellent dribbling skills. Graham most resembles Ashley Young in his playing style and has previously admitted looking up to Ashley as a role model. The young Coventry-born winger has now been at the club since he was an eight-year-old, and he recently signed a professional contract with the club in March 2012 which keeps him at the club until at least August 2014. The most exciting aspects of Graham’s game is his ability to mix up his dribbling style. The youngster can dribble in an orthodox manner, beating defenders through acceleration, dropping the shoulder and quick changes of direction. In addition, he also has the balance and guile to beat players from a standing start through step overs, drags, faints and quick feet. The young Villa winger has a reasonable final ball and is adding goals to his repertoire. In the 2011 / 2012 season, Graham scored seven goals for the academy team, with most of his goals coming in the second part of the season. Like Jack Grealish, Graham has been played liberally in the teams he qualified for since reaching 16-years-old, in order to gain the most from his development. 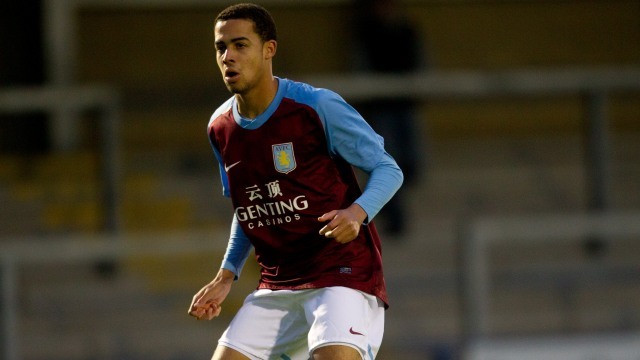 Graham has represented England at under 16 and under 17, and he played a brilliant first half of the 2012 / 2013 season in Villa’s successful NextGenSeries campaign. Such was his impact in the Next Gen Series that most Villa fans were worried how the team would react after losing such an important player. The player himself was bitterly disappointed to pick up a season ending injury, when he was playing out of his boots in Tony McAndrew’s young team. As a character, Graham is a football addict, keen to watch other great players when they play and picking up tips as he keenly watches. This is a great attribute for a young player to have. Some players play football for a living and leave the game behind at the training ground. Not Graham. He is ambitious, hard-working, and furthermore he has shown that he is eager to make the jump to the first team which is a positive for Paul Lambert. Graham’s wing twin is the hugely promising 17-year-old, Jack Grealish, who joined Villa at just six-and-a-half years old, with both of them growing up in the academy together. Grealish is perhaps most well-known in his career so far for being pressured into making a tough decision between Ireland or England. Young Jack grew up in Solihull to an Irish family, and therefore it is no real surprise that he chose to play for Ireland to join the impressive Irish contingent of Villa’s academy. Grealish’s style does not resemble a traditional English winger in my opinion, as his attributes are more associated with those of a continental winger. The boy is a leggy winger with a mesmeric ability to keep the ball close to his feet. He keeps his head up and attacks mainly down the left side or cuts inside into the number 10 position. The most exciting thing about Grealish’s game is his ability to look so effortless, in control, and to possess so much intelligence for a 17-year-old. He is not the type of English winger who you will see with the steam rising from their flanks as they burst up and down the wing ‘putting in a shift‘. Grealish has shades of the ethereal grace of a Mesut Ozil or Isaac Cuenca with the intelligence to see a pass and the skill to beat a man, and create a chance for the team. There’s flashes of Cristiano Ronaldo-esque flurry of quick feet, or more frequently, he reverts to the lazy effortless strut of a player completely at one with the ball, who can simply drift past opponents without expanding much effort. Grealish was recently named Ireland’s under-17 player of the year and the down to earth Solihull boy kindly gave away his boots to a fan whilst in Hong Kong after a barn-storming tournament. Grealish is less pacey than Graham, so it remains to be seen whether he can make the step up to the frantic pace of the Premier League, but in Grealish’s corner is the fact he has goals in his locker. Oddly enough, the youngster is related to Aston Villa legend and former England international William “Billy” Garraty, who is Aston Villa‘s 8th all-time goal scoring player with 112 goals in 259 games. Perhaps it’s no surprise therefore that Grealish seems to know where the back of the net is! Villa fans will be hoping that Grealish’s name will be on the lips of the likes of Alan Smith and Jeff Stelling before too long, if he has a successful preseason with the senior squad.